Why do Employment Verifications take longer to complete? Many employers today not only run a criminal history on their applicants, but prior employment verifications, as well. Running this type of report on your applicant can help you determine if you have chosen the right candidate for the position based on an honest assessment of past work experiences. Especially since they know that their information is going to be verified by a third party, it also compels your applicants to be honest with you about their previous employers, dates of employment and positions held. Although Employment Verifications are a key component in running a background check, some may take a while to complete. Here are some reasons why Prior Employment Verifications may take a little longer to complete. The client or applicant does not provide a phone number for the previous employer. When an applicant does not list a phone number for their former supervisor or employer, it may take additional time (and multiple requests) to track down a new number. Without a direct line to a supervisor, it may also increase the amount of time to work through the corporate offices. The supervisor’s name that was provided, no longer works for the company. If the supervisor listed is no longer employed with the company, we must contact HR directly. Contacting HR may take longer than talking to a direct supervisor, because HR has more requests and employee records. Plus, HR is less likely to provide complete or detailed information. When an applicant lists a company that is out of business, it is almost impossible to complete a verification. Without direct access to former employees or management, the applicant may have to source personal contact information from previous supervisors. The previous employer asks for a “wet” signature release form from the applicant to be faxed to them. All applicants are asked to provide an electronic signature via our SELECTiON.COM® online dashboard, Fastrax Select®. However, some HR policies require a physical signature. In such cases, the applicant will be required to take the extra step of submitting a fax or email copy of a physically signed document. The prior employer only uses third-party providers. If an employer refuses to give verification over the phone and/or uses a third-party provider, SELECTiON.COM® must follow a different path to complete the verification. add third-party providers are usually fee-based and will add extra cost to the process, in addition to requiring approval from the applicant and the client. The employer no longer has the applicant in their archived system. Most employers don’t keep records forever. If an applicant lists a very old employment, we may be unable to verify due to the age of the record, or may not be able to spend the time necessary to source archive documents. 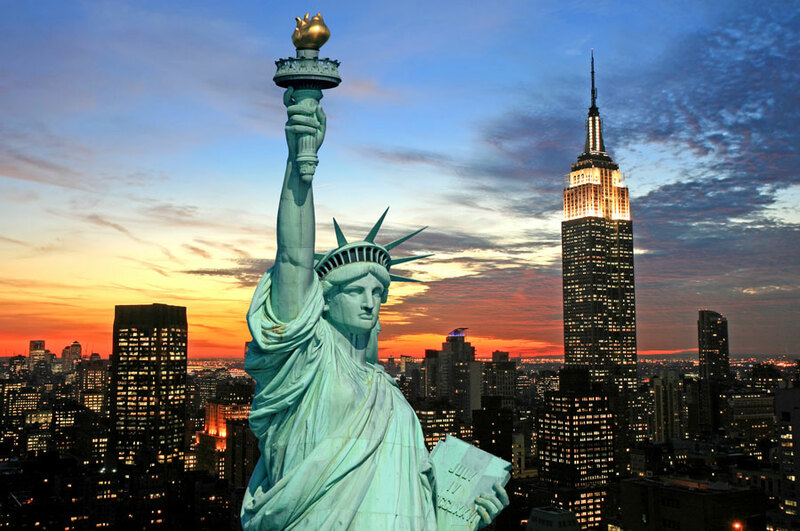 Large corporations have several locations and the client/applicant only enters in the company name. Without detailed information, it makes it much harder to complete an employment verification. Most times if a specific location is not listed, we are forced to go through corporate HR. With large corporations that have multiple franchise owners this can be especially difficult. At SELECTiON.COM®, our In-House Verification Department will help improve your workflow by making these calls for you after gathering basic, yet IMPORTANT, data (e.g. supervisor name, company name and phone number) prior to beginning the process. SELECTiON.COM® will make the first attempt to reach the previous employer(s), as provided by the client or applicant, within 24 hours of the order date. Our logs notes are up-to-date and in real-time, so you can always see the exact status of your request. The time it takes for us to complete an employment verification can differ depending on the circumstances. Here at SELECTiON.COM®, we pride ourselves on being prepared for any circumstance thrown our way. 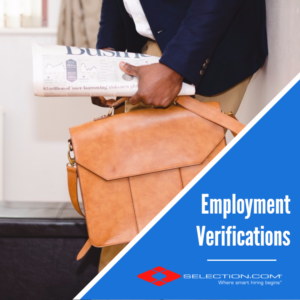 Our employment verifications are an essential part of any background screening process and we do our best to complete them in a timely manner. The quickest way to complete any employment screening is to remind applicants to provide the most up-to-date and current information. Check out: https://selection.com/employment-verification-check/ for more information on how we can help you complete employment verification today!